Once when Rebekah, Rachel, and I were the only ones home, Rachel decided to make some bread. When she was finished, though, she was kind of skeptical- she thought that mybe it was a little hard (Rebekah and I did, too, but of course we didn’t say so). When everyone else got home they were excited to see that there was fresh bread made. 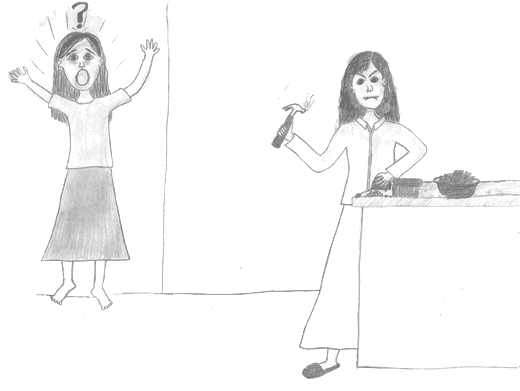 However, later that day we heard loud banging and cracking sounds coming from the kitchen! Rachel went to see what was going on, and when she reached the kitchen, she noticed that Mother was breaking her bread up into little chunks!